Rainier cherries…get ’em while you can! I love summer for one reason…the food. Living in Phoenix means we hibernate right about now and stay within AC at all times. And with the recent haboobs we’ve had (technical term for big damn dust storms), it’s getting to be a real pain to leave the house. Saturday morning outings to the farmers market is the only think I look forward to takes place outside. 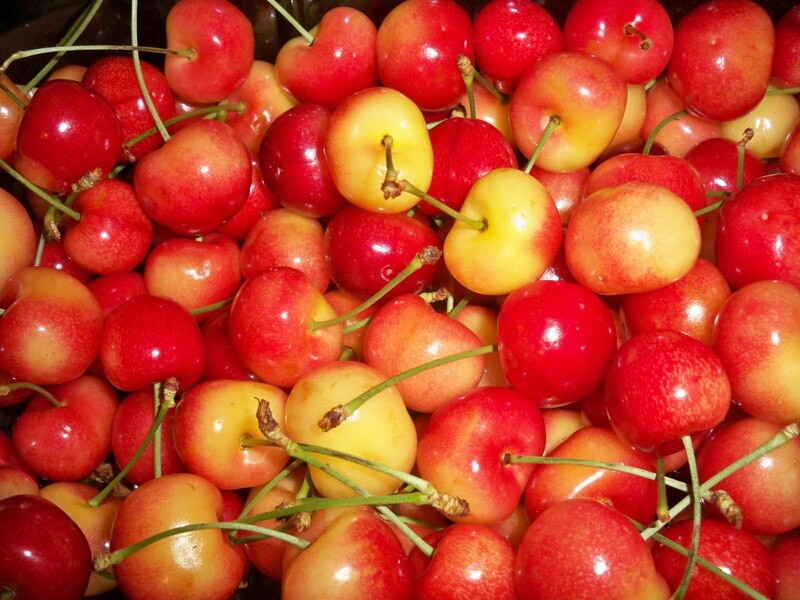 Asparagus, fresh corn, summer squash, oh my… Then the Ranier cherries hit the shelves and I’m in heaven. Taking inspiration from the fresh veggies available right now, I searched for ideas on what to do with the veggies I had in the fridge. I had a large bunch of asparagus and 8 ears of fresh corn. I gave mom a few of the ears of corn and a handful of the asparagus, then set out to make a salad from the rest. I decided to grill inside instead of standing outside in the 110-degree heat. If you’re someplace else in the country, you may be OK with standing outside. It still went pretty quickly. First, I grilled the corn a few at a time for just about 10 minutes…enough to grill and cook, but not overcook. Keep turning them and put a little olive oil and salt on it to keep it from burning. Grilling brings out a fabulous smokey flavor! Next, wash and trim the asparagus. These take a little less time and you just have to flip them once after about five minutes. Then another few minutes and they’re done. I did mine in two batches since I had so much. I love watching them get brown and lovely. It’s all I can do not to eat them right out of the pan. 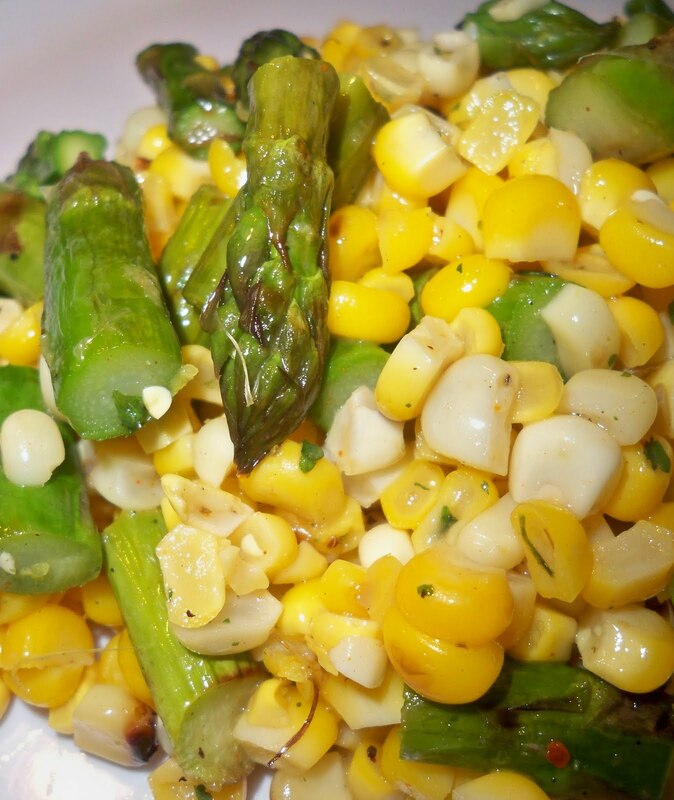 Cut the corn off the cob, chop the asparagus into bite-sized pieces and mix. I added about a Tbs of olive oil, the juice and zest of one medium lemon, pinch of parsley, oregano and basil. A little more salt and pepper to taste and you’re done. Dear chef, don’t fret over it, just keep tasting till you get the right mixture. This is a light summer dish, so go easy on the lemon and keep adding a little more till you get it right. This was wonderful a little bit warm, and even better the next day after it cooled in the fridge. 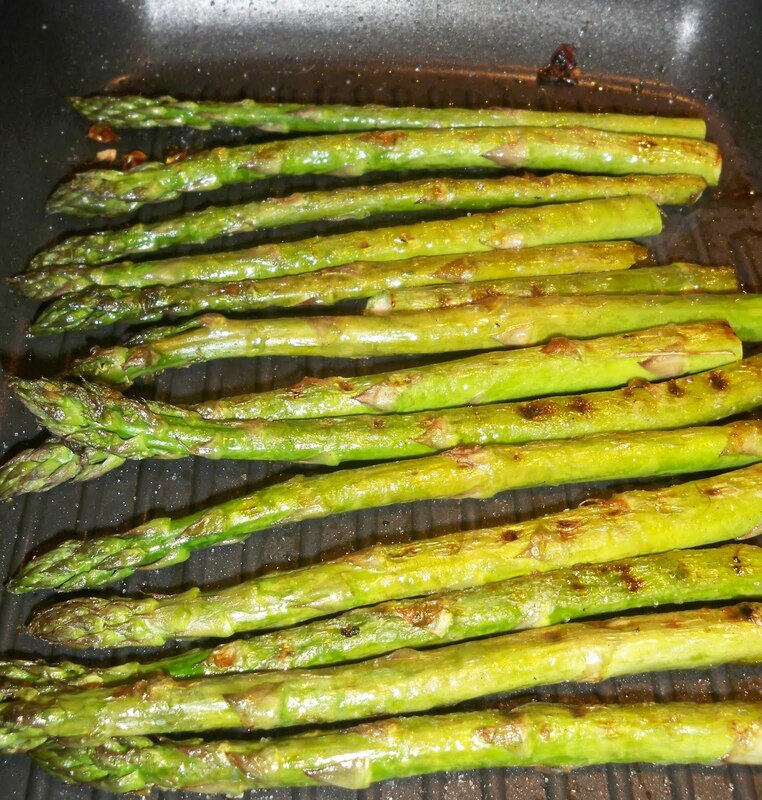 The lemon had a chance to settle into the asparagus, which was smoky and grilled and still crispy to the bite. Ahhh, I finally have just what I want after complaining for years about granola bars that are too nutty, too sweet, wrong flavors, etc. I finally decided to give it a try and make my own. Wow, why didn’t I do this a long time ago? I made two flavors (hoping at least one of them would be edible). Luckily, they both came out wonderfully and I can’t decide which one I like best. For the first batch, my daughter suggested apricots and cashews. Yum, great idea and great tasting. I love the sweetness of the apricots and the mellow flavor of the cashews. Batch number two had pistachios and dried cranberries. 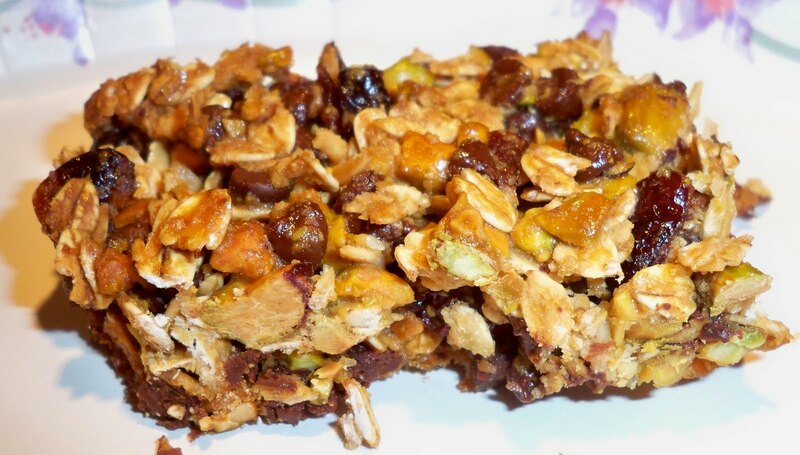 Another home run with the tartness of the cranberries and the distinct saltiness of the pistachios. Once again, I can’t decide which one I like best but judging from which one is disappearing in the hands of Husband and Daughter, the pistachio bars are a bigger hit, but not by much. The recipe below gives the measurements for what I used. Go ahead and switch it up using whatever nuts or fruits sound good to you. I’m going to give peanuts a try next time. Haven’t decided on the fruit yet. Also, I’ve added mini GF chocolate chips just because I happened to have some, but I can tell these bars would be just as great without them. 2. Chop nuts in a processor or by hand until smaller in size but not too fine. 3. Add all other ingredients to nuts in a large bowl and mix. 4. 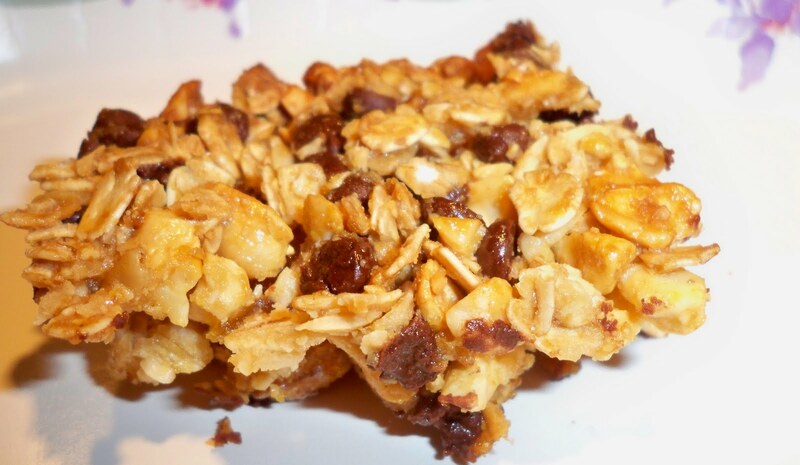 Spray a 9×9 glass dish and spread nut mixture into pan until evenly distributed. 5. Bake for 25 minutes or until sides begin to brown. These are a satisfying treat and great to take with you when you know you’ll be out all day and may need something to snack on. If it’s the middle of summer in AZ (like it is here) I would suggest leaving out the chips if you’re taking them with you. I know these will be gone before I get a chance to take them with me, but the next batch will be bigger now that I know this works so well. Give it a try and let me know how it turns out.